EA Sports has announced the contestants for their Madden 15 cover tournament. In previous year’s the cover vote has featured 32 or 64 players. This year it will only feature 16. A few of the heavy favorites to win are fan favorites like Cam Newton, Colin Kaepernick, Richard Sherman, Jimmy Graham, Andrew Luck, and LeSean McCoy. Each round will last 1 week until the winner is announced live on June 6th on a special edition of SportsCenter. Voting for the first round begins today. 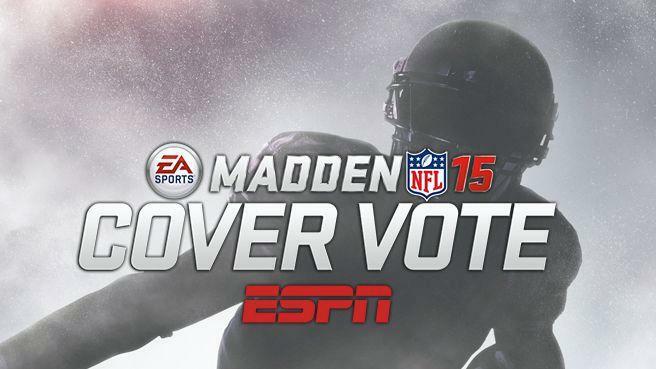 You can cast your ballot at ESPN.com/maddenvote. Madden 15 will be released on August 26th, 2014 on the XBOX 360, PlayStation 3, XBOX One, and PlayStation 4.
Who do you want to see on the cover of Madden NFL 15? Let us know your thoughts in the comments section below.